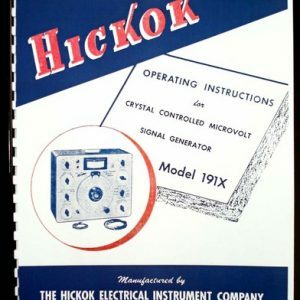 For sale is reprint of Hickok KS-15874 tube Tester made for Western Electric. 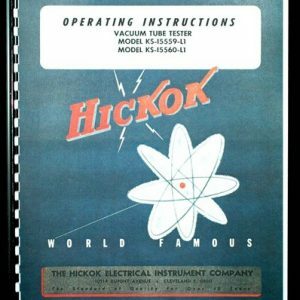 Manual is 56 Pages long and includes 3 11×17 foldouts with schematic diagrams. 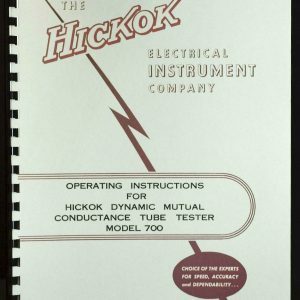 Manual is dated October 1961. Manual consists of 6 sections: General, Description, Calibration, Operation, Circuit and Maintenance. 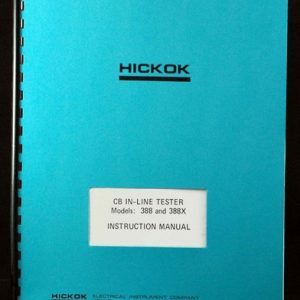 Maintenance is largest section, Pages 24 to 56 with Troubleshooting Procedures, 11 page Detailed Part List. 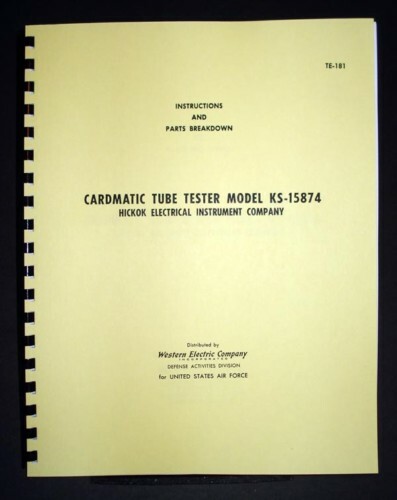 Seems like this manual cover KS-15874 family of testers, KS-15874-L2 is mentioned multiple times in description and diagrams.